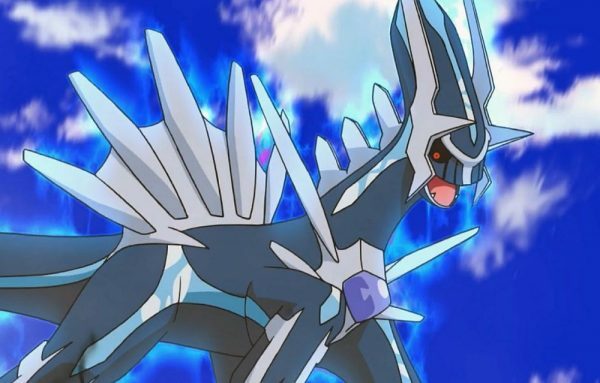 The Pokemon Company has announced how to obtain the first Legendary Pokemon being handed to Sun and Moon players this year. Pokemon Ultra Sun and Moon players, and original Sun and Moon players, will be handed either Legendary Dialga or Palkia depending upon which game is owned. Those who own either version of Sun and Moon in Ireland and North America will need to head to their local GameStop to receive the Legendary Pokemon via a card with a secret code. Those who reside in the UK can pick up the card at GAME retail locations. Both Dialga and Palkia are powerful Legendary Pokemon from the Sinnoh region. Dialga is a dual-type Steel/Dragon and is featured on the box art for Pokemon Diamond. Palkia a dual-type Water/Dragon featured on the cover of Pokemon Pearl, appearing on the boxart. Distribution codes are available starting today, and will be available until February 28. Players will also receive an “extra gift” if redeeming for Pokemon Ultra Sun or Ultra Moon. In March, The Pokemon Company will be distributing Legendary Pokemon Regigigas and Heatran.